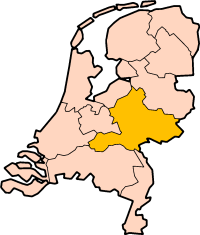 Is cúige atá suite in oirthear na hÍsiltíre é Gelderland ( éist). Is é Arnhem an phríomhchathair ach tá níos mó daonra ag Nijmegen agus Apeldoorn. Tugadh an leathanach seo cothrom le dáta an 17 Iúil 2017 ag 22:53.